As we're looking around the high street these days, we're noticing the footwear is becoming more and more desirable. 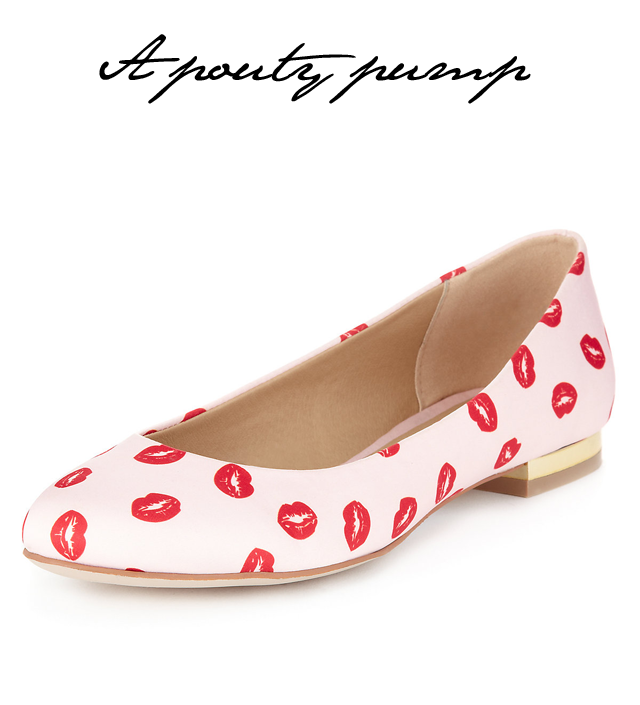 Take this printed pumps from Marks & Spencer, for example. The lip print is once again in fashion. Come to think of it, has it ever been out of fashion? M&S have taken the opportunity to keep your feet in the fashion game, and for a suitable price tag of £25. We're ordering two. This is London, after all. You can never own too many pumps for day to day wear. And hello, metallic heel. If these were J.Crew they'd be £325. See why they're our Bargain du Jour?